FSC Warehouse is a 16.5 Lakh sq. Ft. Logistic Warehouse in Nagpur is one of the industrial projects in our portfolio to experience full-fledged BIM in its execution. Techture was involved in performing the Structural, Architectural and MEP BIM modelling for the project. Using the BIM workflow and tools like Clash detection and Quantity Estimation, the project was able to reap the maximum benefits of BIM since its inception took place from the Design stage itself. Scale 1.7 Million sq ft. Client Gati Realtors Pvt Ltd.
A 16.5 Lakh sq. Ft. Logistic Warehouse in Nagpur is one of the industrial projects in our portfolio to experience full-fledged BIM in its execution. Techture was involved in performing the Structural, Architectural and MEP BIM modelling for the project. Using the BIM workflow and tools like Clash detection and Quantity Estimation, the project was able to reap the maximum benefits of BIM since its inception took place from the Design stage itself. Client Gati Realtors Pvt. Ltd.
A 16.5 Lakh sq. 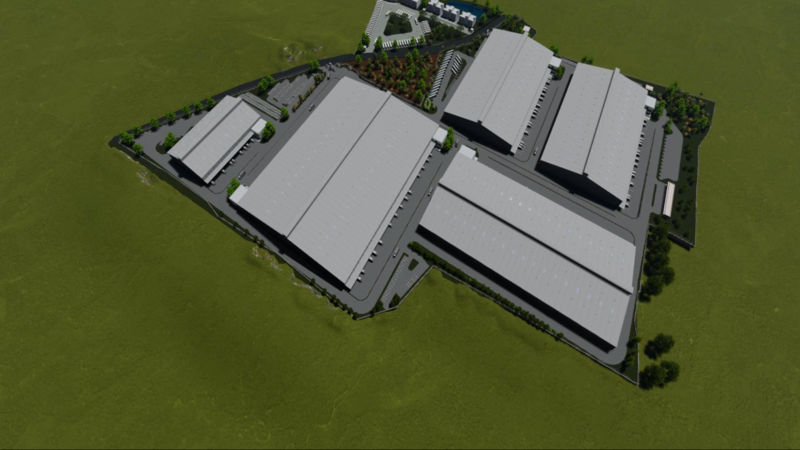 Ft.Logistic Warehouse in Nagpur is one of the industrial projects in our portfolio to experience full-fledged BIM in its execution. Techture was involved in performing the Structural, Architectural and MEP BIM modelling for the project. 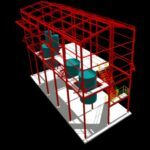 Using the BIM workflow and tools like Clash detection and Quantity Estimation, the project was able to reap the maximum benefits of BIM since its inception took place from the Design stage itself.